Explore Montreal's Old Port on your own paddleboat tour. Choose between a 30- or 60-minute rental and set out on the calm Bonsecours Basin, taking in exquisite views of the city's waterfront while leisurely paddling along the waters. 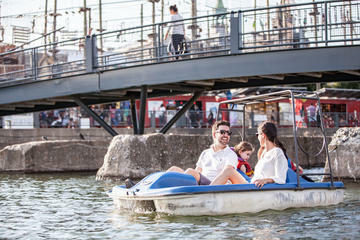 Each paddleboat can accommodate up to a family of four, though they also make a the perfect sunset date for two.